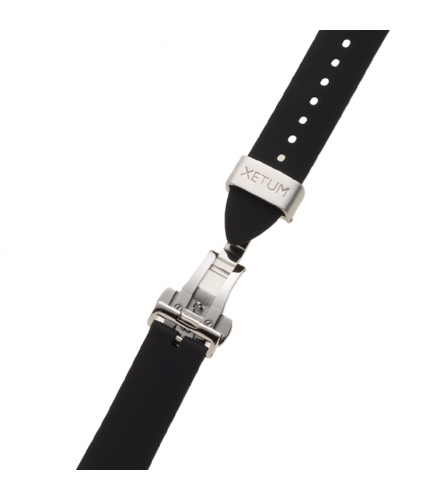 Black rubber strap with butterfly clasp. Brown leather strap, black stitching with Italian cork lining. 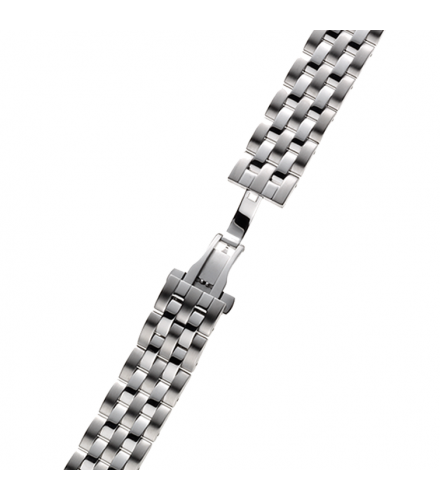 Stainless steel bracelet, push-button release butterfly clasp.